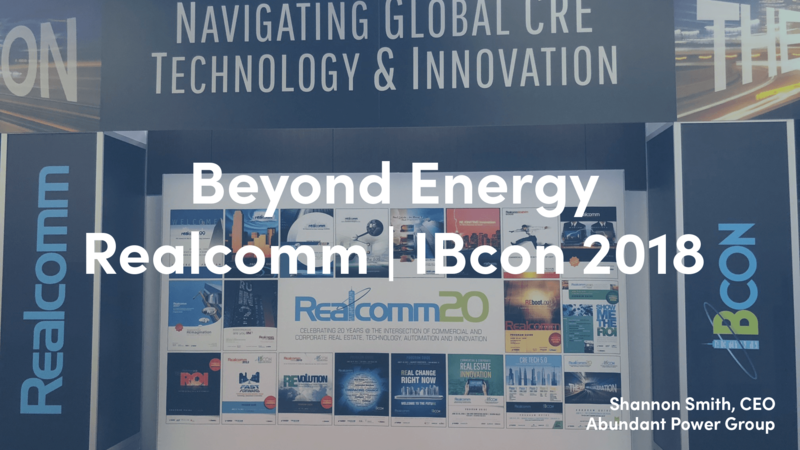 What has surprised you the most at Realcomm | IBcon 2018? How the conference has continued to grow. The number of early adopters of smart building technology, the property owners and managers interested in this technology and the number of new companies in this space continue to grow. Companies are starting to focus on the occupant. We heard that term a lot this week. If the technology doesn’t tie back to the user of the building, then what’s the value? This is becoming more and more important and is changing the way these technologies are discussed. It is something we have long focused on incorporating comfort as a key KPI. Energy analytics is now in the rearview mirror. We need more data that can help owners and managers do more. With all the companies in the space making various claims of impact beyond energy, how do they sort out the noise and find the companies to trust? My favorite moment was watching Jim Young go through the 20 years of Realcomm. This year was the second highest attendance for the conference. It’s also the highest attendance they have had since the real estate crash a decade ago. We joined in the last five years, but there are a lot of folks here who have been thinking about this for a while. It gives you a sense of legacy, but it also represents that there is a dimension of this that is far ahead of its time. What trends do you see going forward? Full building integration is still a long way off. There is also a serious technology competency gap in the industry. That is a real issue. Many property and facility managers are biased to doing things the old way. We’re at the top of the mountain talking about these new technologies but everyone else in the valley below is still doing things the way they always have. This issue needs to be addressed before we see large scale adoption of these technologies.